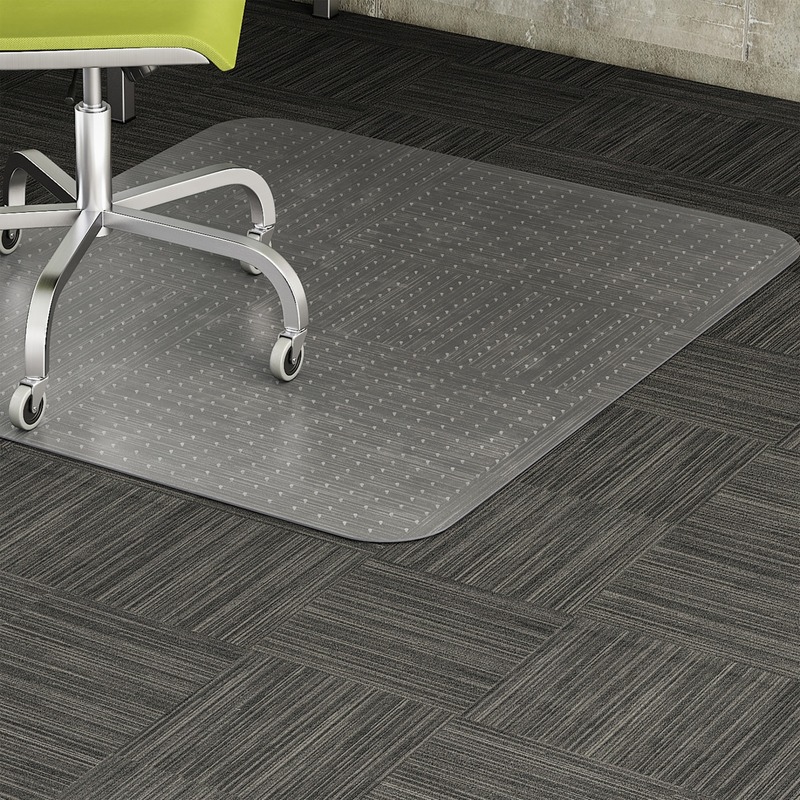 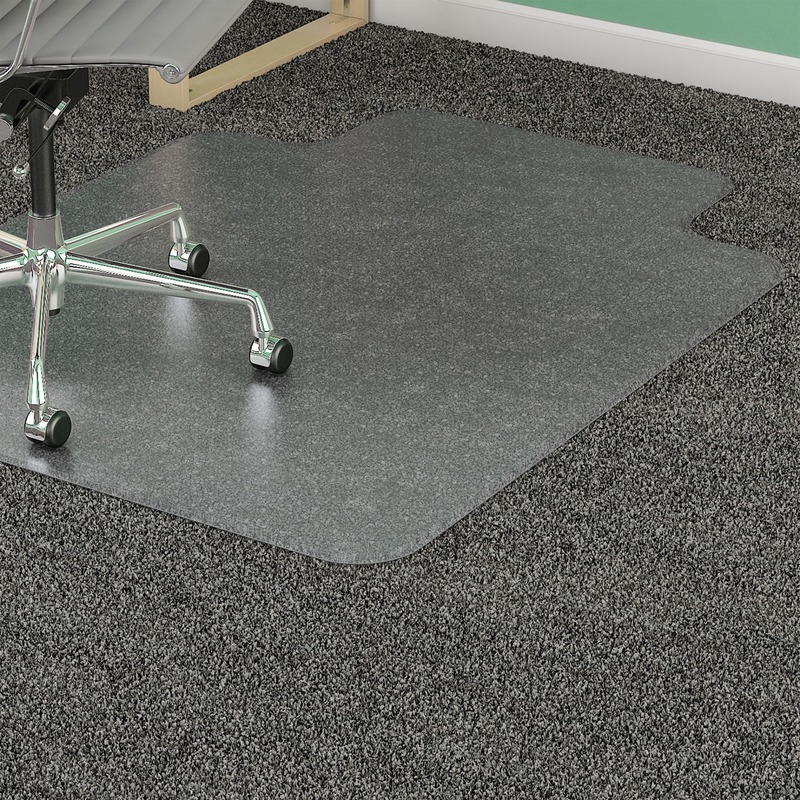 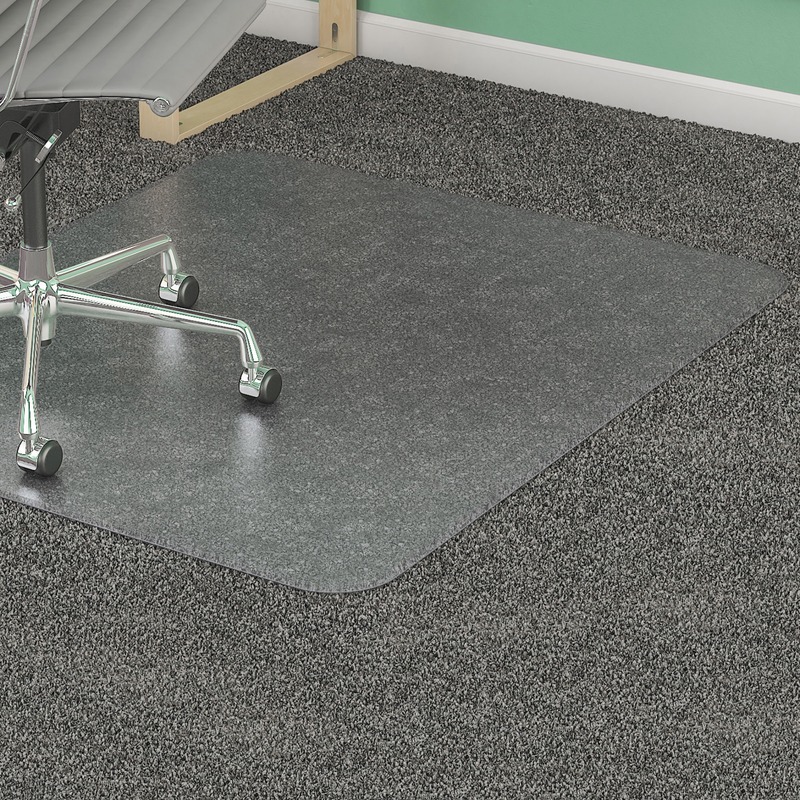 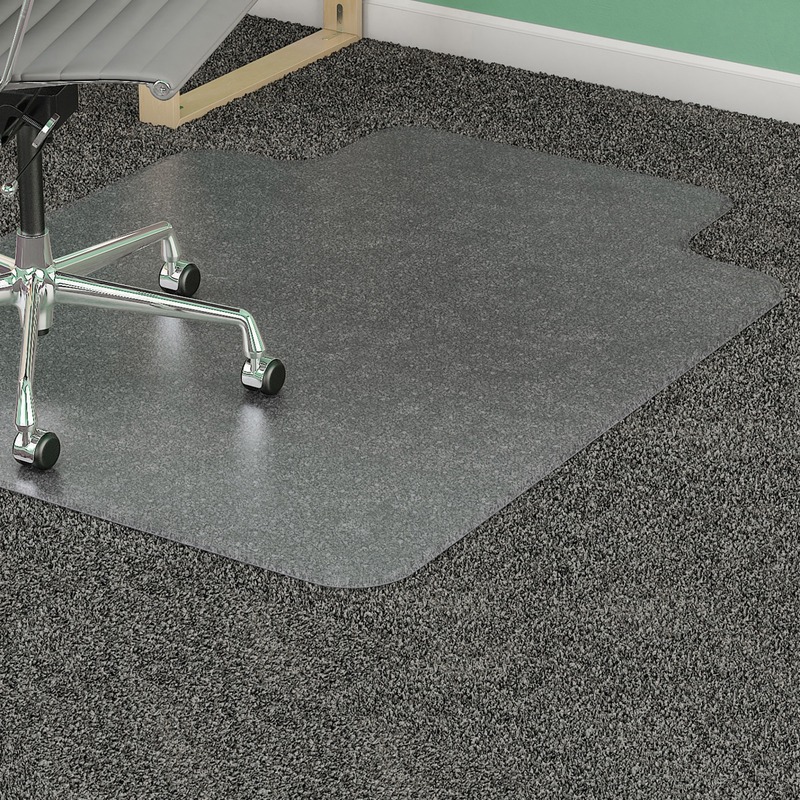 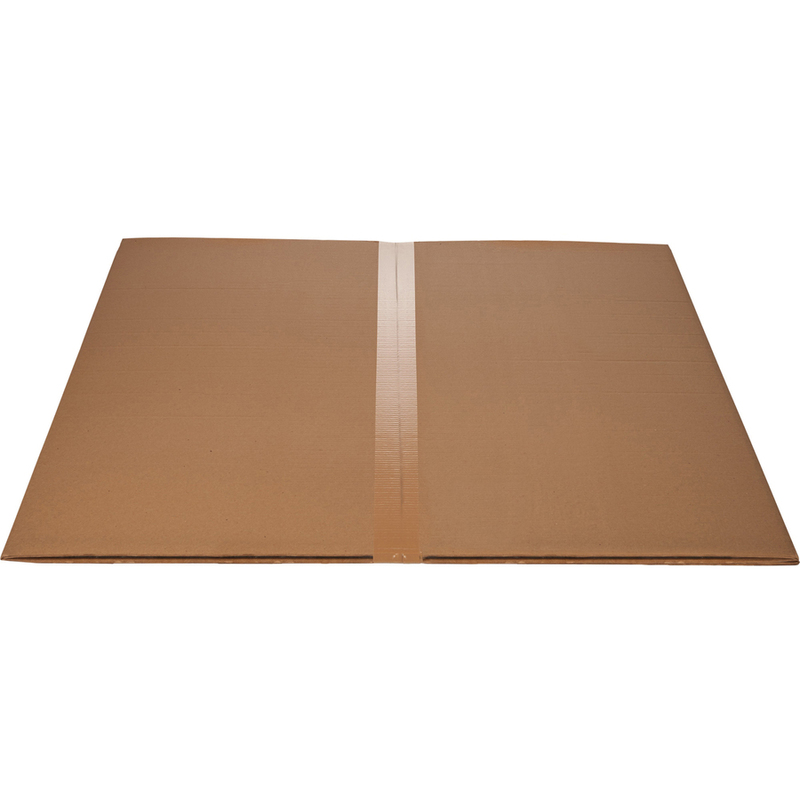 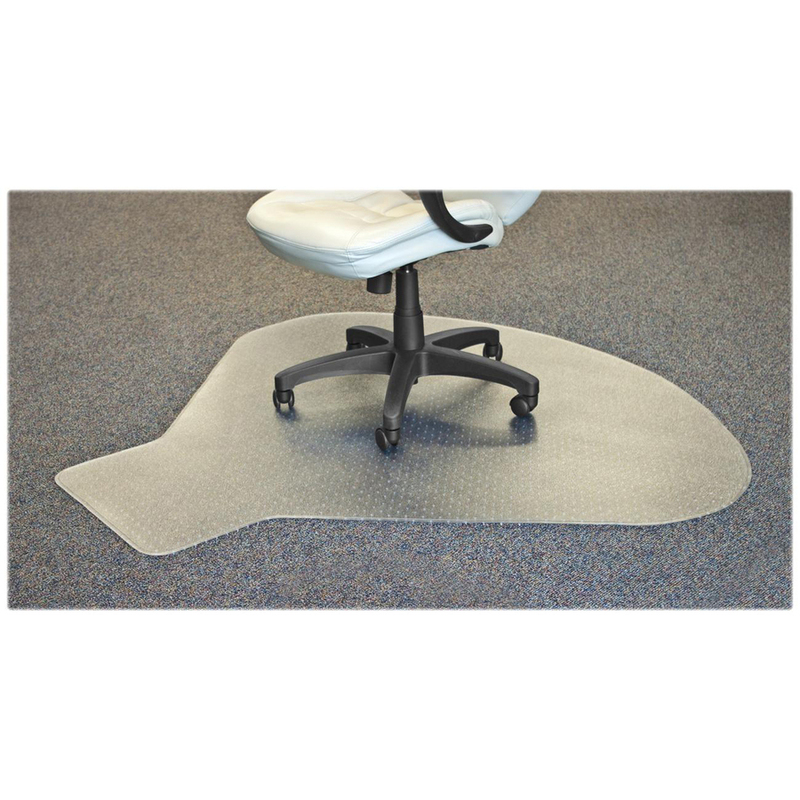 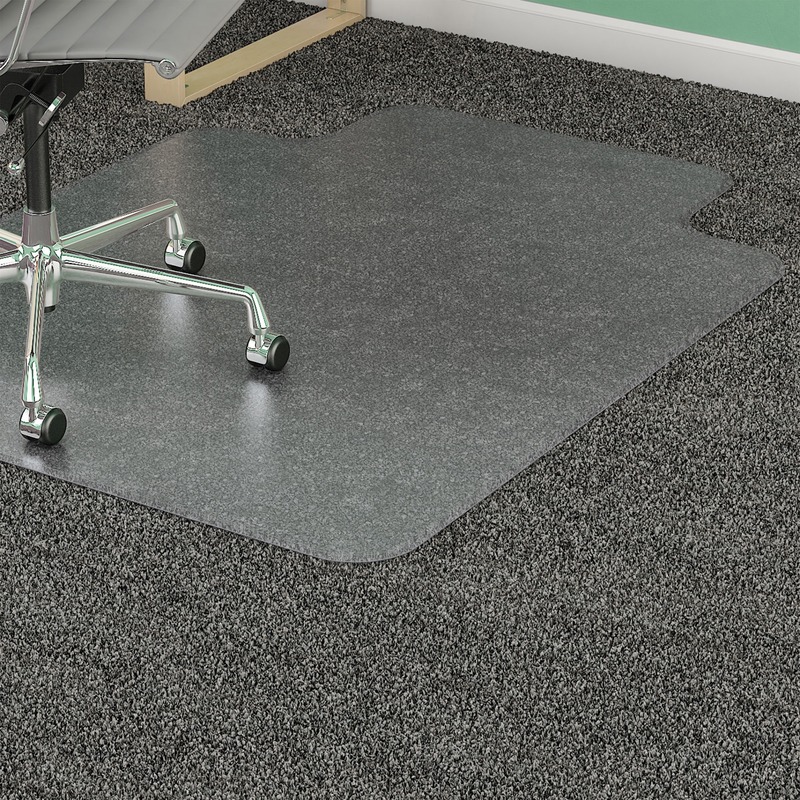 Chairmat with lip is ideal for medium-pile carpets and works best on carpets up to 3/4" thick, including padding. 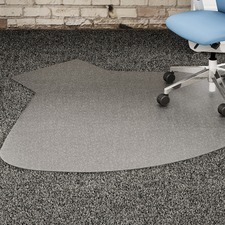 Shape makes it perfect for L-shape desk configurations. 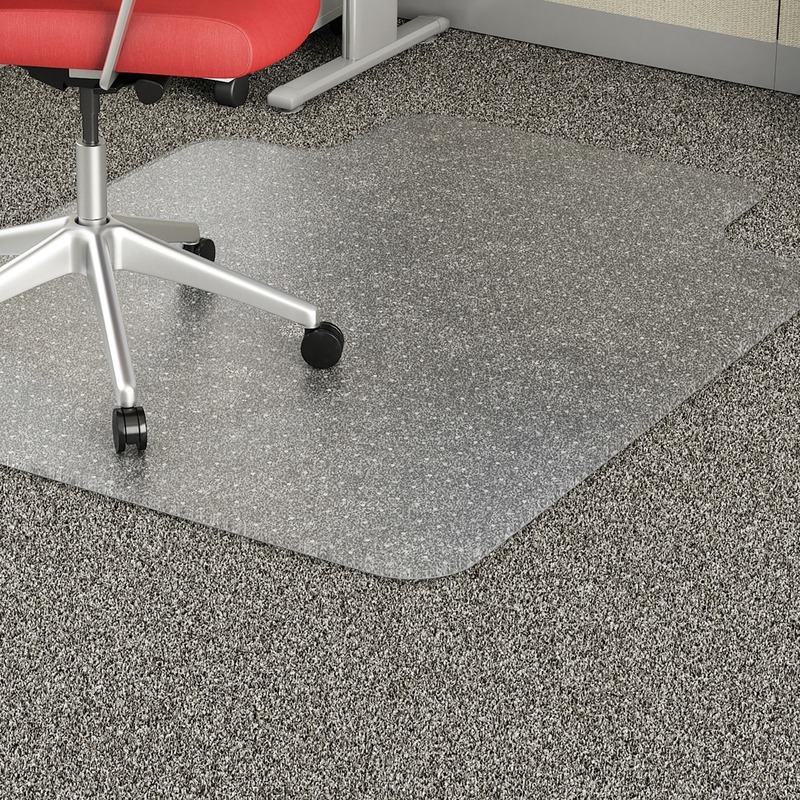 Studded back keeps the mat in place on a variety of carpet styles. 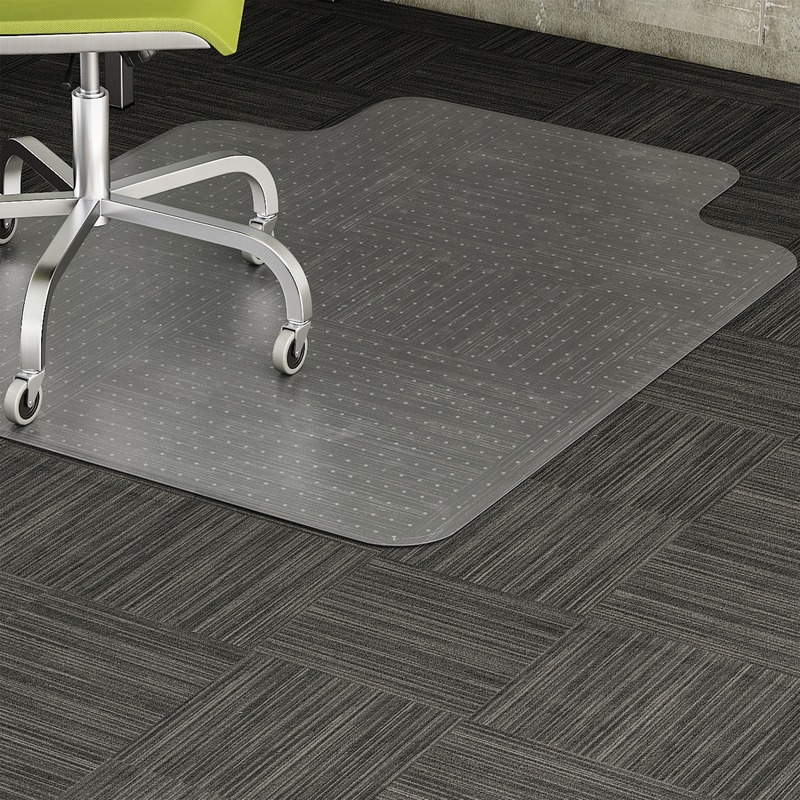 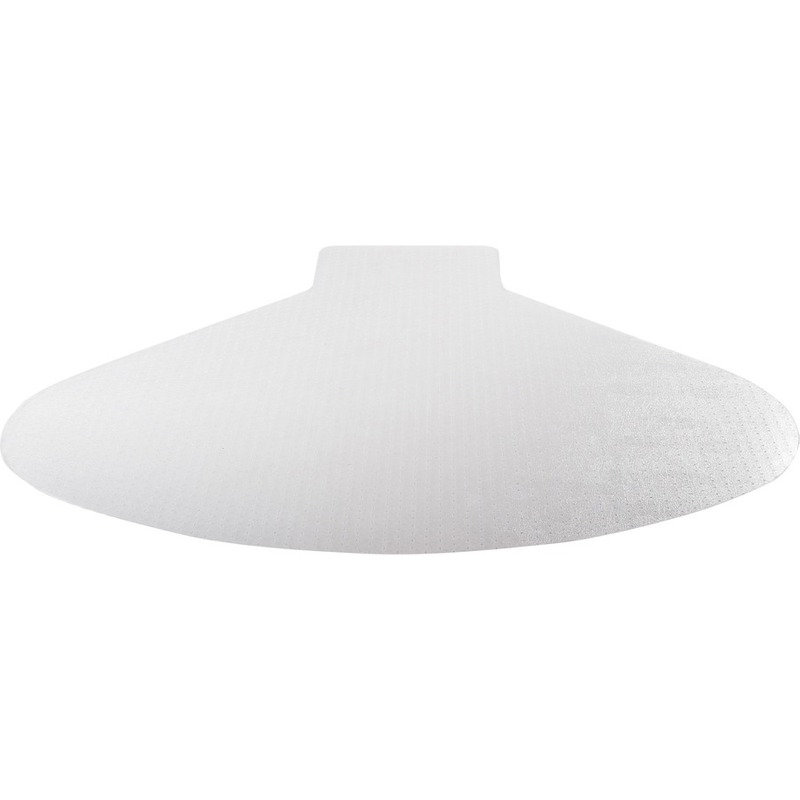 Smooth edge is designed for easy on-off chair movement. 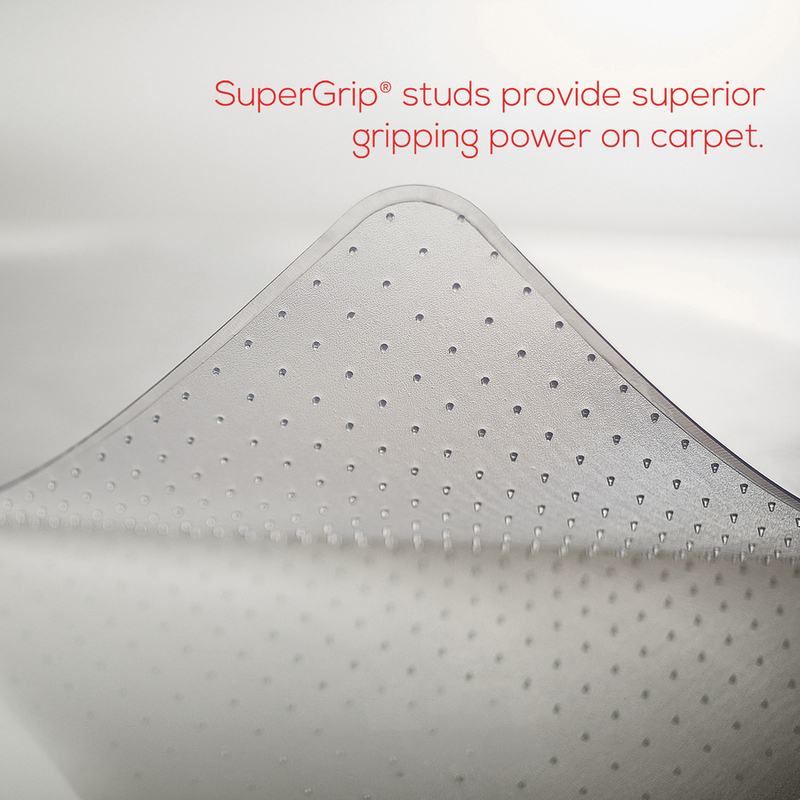 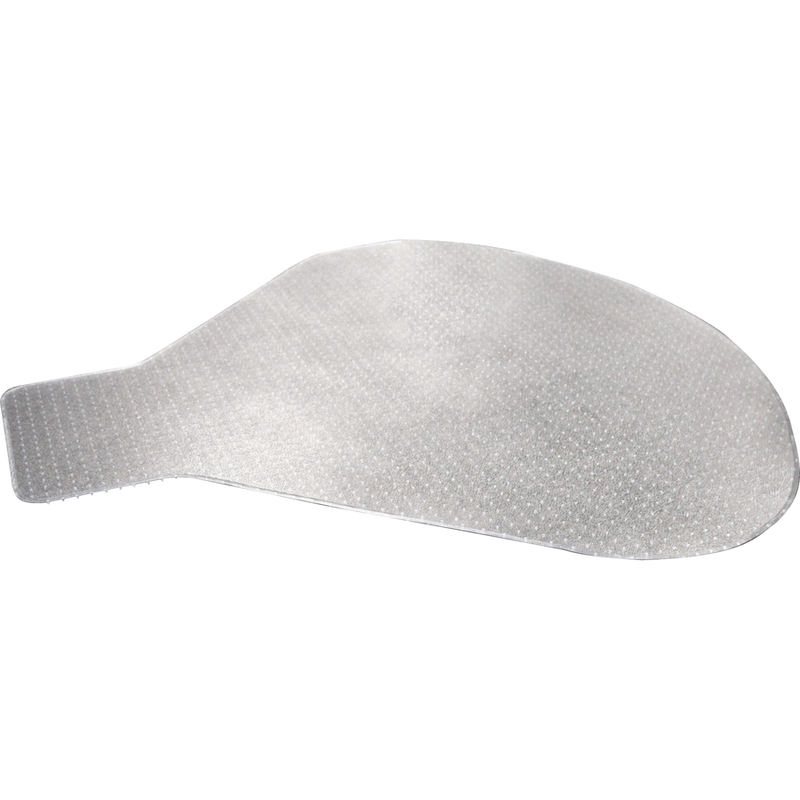 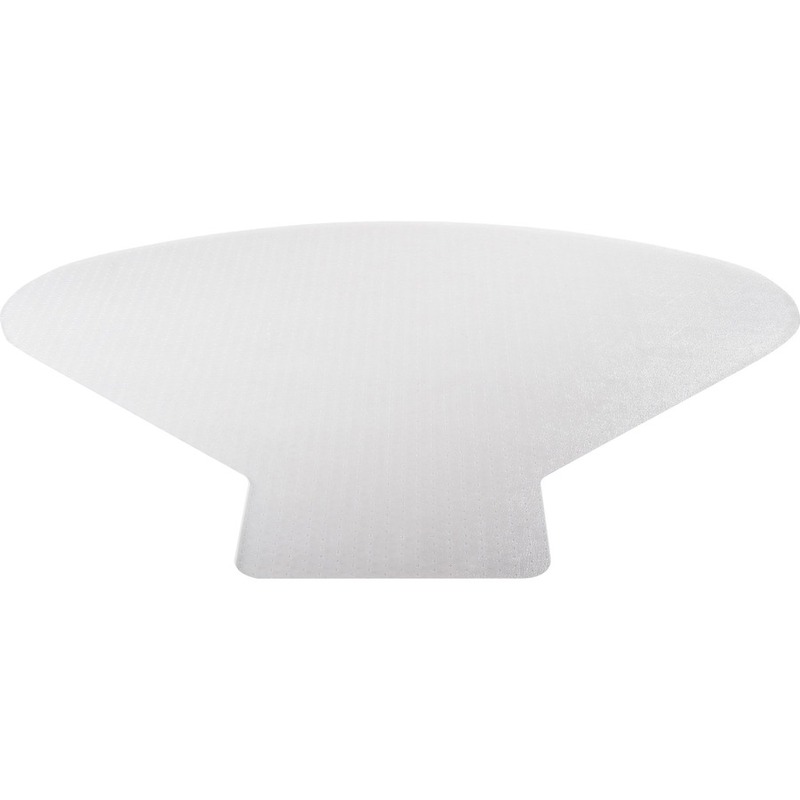 Chairmat offers crystal-clear design and optimal protection for your carpet. 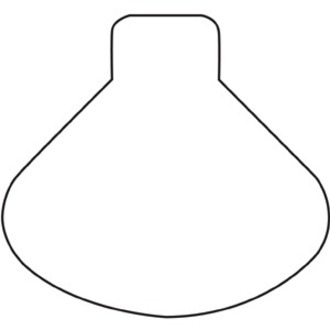 Lip measures 20" x 12".